The latest crazy Facebook Divorce story is just another reminder of how the internet age has changed divorces. It is also a subject that we have written about many times here. So we thought a simple list of Do's and Don'ts might be helpful to summarize our advice on getting through a divorce in the era of facebook, twitter and google. 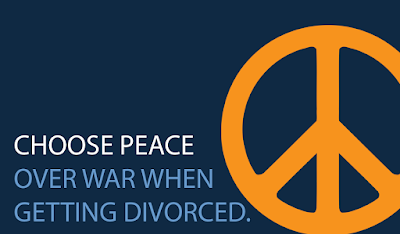 If you or someone you know is getting divorced please consider the consequences of how you lead your online life, and follow these simple rules. 1. DO Get a new e-mail address. Gmail, Live, Yahoo and many others offer free e-mail addresses. You shouldn't use work e-mail for communications related to your divorce case or they might not be considered privileged, and your personal e-mails may be compromised by your ex. 2. DO Change your Passwords (E-mail, Voicemail, Bank Accounts, Facebook, Twitter, etc.). Your ex can probably guess most of your passwords, and that's assuming they aren't saved in your internet history on your old shared computer. See DON'T #2 as well. 3. DO Learn about privacy settings. Social networking sites like Facebook have many settings that can be changed to hide portions of your profile or specific posts from all users or even select individuals. 4. DO Backup your digital data. Any shared computers are subject to unwanted deletions (accidental or purposeful), and even your personal computer is subject to all the usual risks (breakdown, viruses, tampering, etc.). 5. DO Find out how to save texts and e-mails. Many programs and phones delete old e-mail or texts to preserve space. If you don't save that incriminating text your ex sent you when they were drunk, then you can't show the Judge. 1. DON'T Lie on Facebook, Twitter or other places online. Would you send a letter to a mutual friend telling them lies about your relationship with your ex? Would you tell a stranger (who might know your ex) lies about yourself? No; obviously that would be pretty stupid because they might make it back to your ex. Everything you post online is just as dangerous, far more likely to end up in the wrong hands, and sometimes impossible to delete once posted. 2. DON'T Use Passwords that are easy to guess. Your ex also knows your birthday, your anniversary (probably) and your children's birthdays. If you use these for your passwords your ex could guess them. 3. DON'T Lie to your spouse online or in an e-mail. Just because it's easier to pretend to be Mrs. Doubtfire online, doesn't mean it's any better of an idea than doing it in real life. Even though Sally Field's character can't recognize her own Husband when he's right in front of her face, it is very unlikely your spouse will be fooled, even online. Even worse, any evidence you might find will probably backfire on you because of the false claims used to obtain the information. 4. DON'T Brag about new relationships. Updating your relationship status or posting pictures with your new beau might seem like a fun idea at the time, but making your ex jealous unnecessarily could prolong your divorce case. Settlement requires both sides, and negative emotions can often delay that process. 5. DON'T Send that Angry E-mail/Text. It's far too easy to hit reply and react to the frustrating message your ex just sent you. But consider sending a draft to your attorney to see what they think before you respond. If you're ashamed to show your attorney then it's probably something you shouldn't be sending. Well , I thing if you have any personal problem with your present partner or EX, you should talk and solve out site any social media site like FB and twitter. If you start attacking each other through social media then it will become mess and never ending. Thank you for sharing great legal advice about netiquette for people going through a divorce. I warn all about the consequences of your online life.